All landlords have the same thing in common “Tenants and Toilets” and if anything can go wrong it will go wrong with one of them. Most tenants want to have a good relationship with the landlord and some just seem to find a way to alienate themselves and destroy everything in their path. When I received the call from Barbara, I just happened to be about three blocks from her house. I was out looking at properties in South Stockton and she said that she had watched a video of mine on the internet and was wondering if I would be interested in buying her House. She warned me that the house needed some work and after 4 months of battling with her latest tenant she was ready to sell the house and be done with being a landlord. No one could accuse Barbara of not being direct and maybe that is why after 30 years she was done. 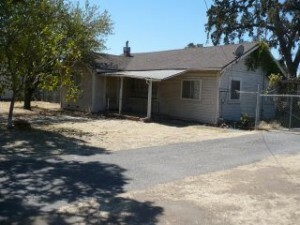 She bought the house in 1978 and lived in it for 5 years when she received a promotion at work and decided to move to Lodi. She kept the house as a rental and listening to her she said the first 25 years were wonderful. She had the Perfect tenant for 25 years. They never called and complained, handled all of the maintenance issues and like clockwork the rent came in by the 2nd of the month. 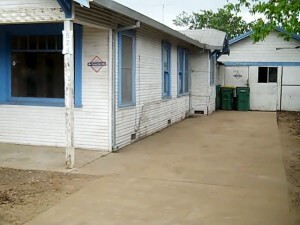 The couple had been retired and their family was in the neighborhood and they liked living there. Barbara had not even been to the house twice since they moved in. Except for the rent, property taxes and insurance she said she almost forgot it was hers. That all changed when the tenant (the husband) unexpectedly died of a heat attack. Within months the wife had moved out to be with her daughter and Barbara needed to become a landlord again. According to Barbara, they made it so easy I forgot all of the things that I learned and I didn’t know where to begin. 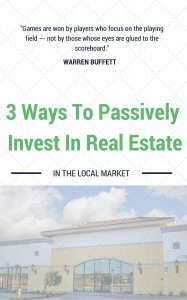 She decided that the first tenant had been so good that they must all be that way if she just did the basics. She cleaned the house and placed an ad on Craigslist. Within hours the phone started to ring and so did the nightmare of becoming a landlord began. 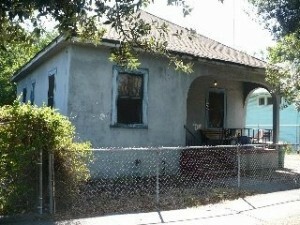 In the mean time she also had to contend with the vacant house. Before she could even let the first new tenant move in, the house got broken into three times and all of the appliances were stolen including the new AC Compressor on the side of the house. She was anxious to get the new tenants settled and after extensive interviews selected a young couple and had them moved in quickly with a one year lease. Within 5 months they had stopped paying rent and by 7 months they just disappeared, leaving a wake of disaster with a vacant house, damaged flooring, cabinets and walls. She did what all landlords do. She regrouped, she hired a contractor and paid to have the house repaired. She re-interviewed and found what she thought was the perfect tenant. They moved in quickly and Barbara had a stress free 2 years when all of a sudden the rent stopped coming. She called the tenant and went by and she discovered that they had abandoned the house and left it unlocked. Vandals and thieves pounced and once again she was faced with repairing the house and replacing all of the appliances. 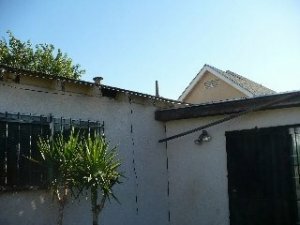 She was also astonished to find a bonus that the tenant had left behind… they had converted the back covered patio into a permanent quasi den without building permits and without permission. 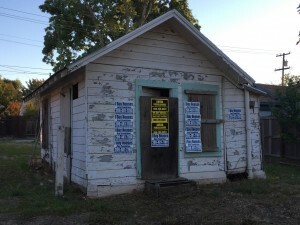 In between all of the pandemonium, she went in the back yard to access other damage and found the Notice of Code Violations taped to the back door. 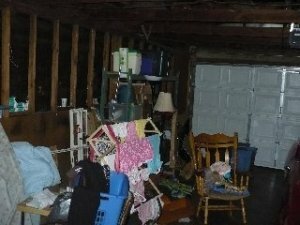 It listed everything that the City wanted repaired and cleaned up including the back room addition that was built without permits. They gave her 60 days to get it all cleared up. She had, had it and decided to call a real estate agent to explore selling the property. 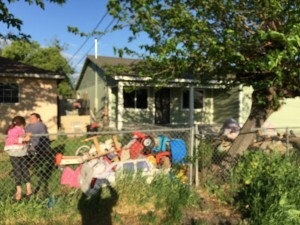 The real estate agent looked at the property and told her that she would not only have to repair the house but also tear out the non-permitted room addition as well as make updates that totaled approximately $35,000.00. 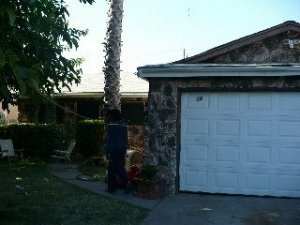 The realtor advised her call a contractor and to order a home inspection to see what else was wrong. The real estate agent then performed a comparative market analysis and told Barbara what her house could sell for if she had fixed it up. That was in 2010, and when Barbara started to run the numbers in her head she realized that after repairs and real estate commissions of 6% she she wasn’t even going to break even with repairs. 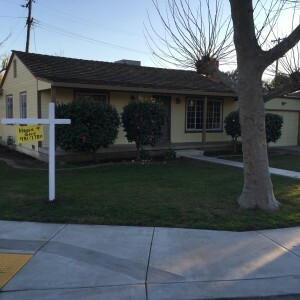 Smartly she wanted to explore selling the house to a Stockton Cash Home Buyer. She called me. Barbara was concerned that she would never recoup the cost of the repairs if she went ahead with a remodeling project. She had not had great experiences with contractors for the past problems and felt like she had been overcharged for everything that was done. She was not interested in doing that again. She was also concerned that the City of Stockton had painted a target on her house with the list of code violations and that she just didn’t have the time and energy to hire the necessary people and manage the whole thing. Finally, she did not want to pay a commission to sell the house and when she was done crunching her numbers she wanted to just sell the house in its As-Is Condition. She wasn’t going to order inspections or appraisals… she desperately wanted the liability to go away and she wanted it to become somebody else’s problem. With that in mind she told me what she wanted to sell the house for. It was that easy… we drew up a Purchase and Sales Agreement that specifically stated that we were going to purchase the property As Is with no contingencies and no warranties whatsoever. 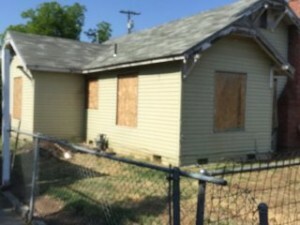 With the City of Stockton Code Enforcement knocking on the door we knew that we could purchase the property subject to the code enforcement issues already known and negotiate an agreement with the City of Stockton Neighborhood Services. We do it all of the time. The first objective was to negotiate a time table in the City would satisfied without levying any new fines and penalties. 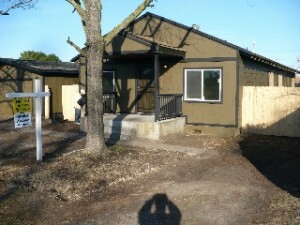 We purchased the property from Barbara in its current As Is Condition and we closed within 24 days. Some of the delays in closing were created by the time frames required to attaining a demand payoff from the City of Stockton for the existing code violations and the assumption of the obligation to fix those issues that were discovered. Barbara is enjoying her retirement and checks in every once in a while to see how I am doing and to thank me for setting her free for retirement. She is happy to be done with tenants and toilets. 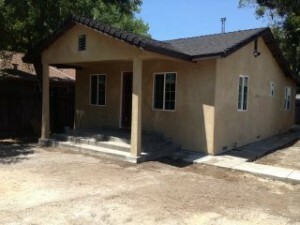 At “Westbrook REI” and “We Buy Ugly Houses in Stockton”, we are the best at what we do because we work at it every day. We understand that a commitment to customer and a commitment to our business only happens with hard work. We have years of experience and a plan that we follow. We are a real company with real people that are committed to helping you achieve your goals.